For those who prefer TOSLINK digital optical audio connections between components, this is the top of the line TOSLINK - period! 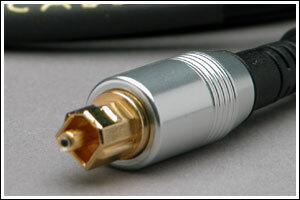 TOSLINK cables carry digital audio data in the form of light pulses rather than using electricity. Light pulses eliminate distortions caused by capacitance, inductance and resistance present in wire cables. 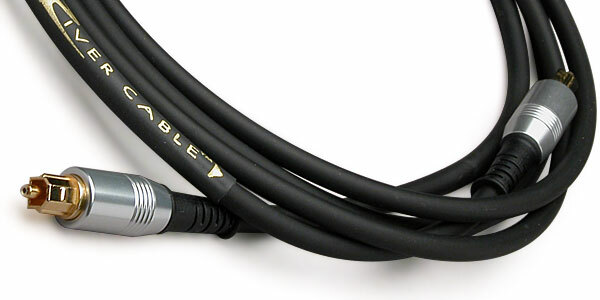 River Cable TOSLINK is the cable to select for Dolby Digital (Dolby 5.1, 6.1, AC3, Prologic, etc.) DTS surround sound receivers, Blu-ray, DVD, CD and Minidisk players and recorders, Pro Audio cards for Computer Digital Audio workstations, Xbox 360, PS3, Tivo, HDTV, and D/A converters. Compatible with S/PDIF, ADAT, DAW, Dolby Digital, DTS devices using the Toslink optical interface.